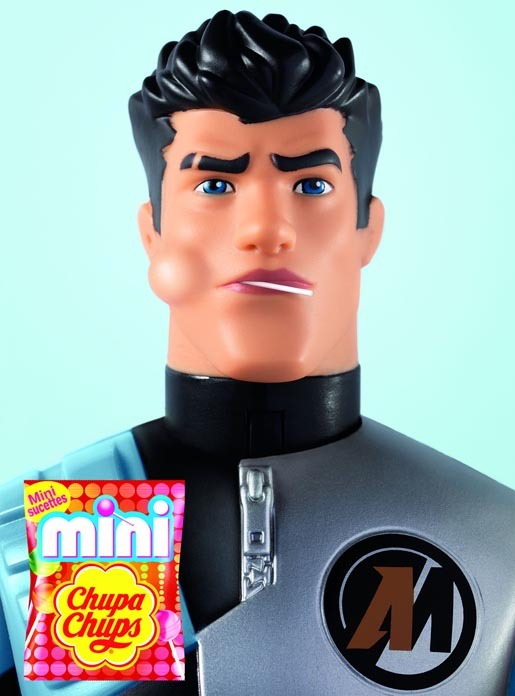 British dolls Sindy and Action Man appear in print advertisements for Mini Chupa Chups in France in a campaign developed for Perfetti Van Melle. The two dolls appeared in French magazines in July 2010 with tiny Chupa Chups lollipops in their mouths, with the text “Mini Sucettes”, aiming for the 3 to 6 year old market. The campaign won a Gold Print award at the 2010 Epica Awards. The Mini Chupa Chups Dolls campaign was developed at DDB, Paris, France, by creative director Bertrand Pallatin, copywriter Gwen Vatin, art director Sophie Montfort, photographer: Nicolas Descottes and art buyer Marine Rolland. Sindy Doll is manufactured by Pedigree Toys and Dolls. Action Man is manufactured by Hasbro.